Second Super Tuesday is history and congratulations to Secretary Hillary Clinton, Senator Bernie Sanders (D-Vermont), Mr. Donald Trump, and Senator Ted Cruz (R-Texas). If you are Governor John Kasich (R-Ohio) and Senator Marco Rubio (R-Florida), you have to wonder how much longer do you want to continue your campaigns. The big shock of the night was Secretary Clinton losing Michigan, a state her campaign anticipated winning, to Senator Sanders. Although Secretary Clinton overwhelming leads the delegate count, Senator Sanders's message of greater equality is being heard loud and clear. The the Clinton campaign has to be licking your wounds. Some how, Secretary Clinton's message of pragmatism over ideology seems to fallen on deaf ears in Michigan. However, Secretary Clinton won Mississippi, giving her a virtual lock on the southern United States. One possible reason for the split is race. Secretary Clinton has been successful in states with a more diverse population, while Senator Sanders won states with a predominantly Caucasian population. One thing is clear about both Democratic candidates is their dual is about policy rather than bluster. 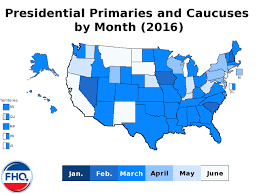 The Republican primaries were more or less pro forma, with Mr. Trump taking Michigan, Mississippi, and Hawai'i; while Senator Cruz won the Idaho primary. Not much can be said about the primary results except the anti-Trump forces must be feeling flummoxed. What can be said is that Mr. Trump's message of "Making America Great" is resonating with his core voter at full volume. Whatever Gov. 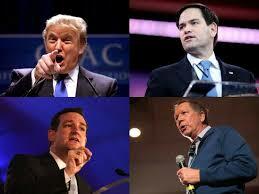 Kasich and Senator Rubio have to say, however good or bad, is being drowned out. Senator Cruz has been making steady in-roads, courting conservative Republicans looking for alternatives to Mr. Trump. He is looking like a formidable challenge to Mr. Trump, just how formidable remains to be seen. One thing is clear, in light of last Thursday's embarrassing Republican debate, the candidates will have to tone down the bluster and focus more on policy, especially as the field continues to narrow. The next big tests will come on Tuesday March 16, when voters in the delegate-rich states of Ohio and Florida go to the polls. Early polls in the Republican race seem to indicate that Donald Trump has a slight lead. However, these states are absolutely crucial wins for Gov. Kasich and Senator Rubio. Ohio and Florida are their home states, respectively and Blogger speculates that if neither one does well in their home states, one or both will drop out. 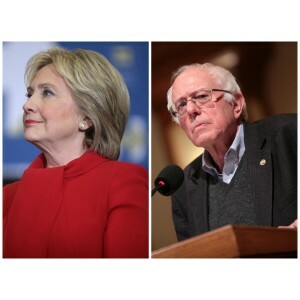 For the Democrats, it will an epic dual of pragmatism versus ideology. Blogger will keep you posted. If you are in Ohio and Florida, please take the time to cast your vote. Next Tuesday , it will be Governor John Katich's turn in the Forum-tentively.